The habitat and terrain at Forister Exotics affords hunters the ability to safari style hunt from the hunting rigs, hunt from a modern comfortable blind, or even engage in a good old fashion spot and stalk hunt for your Trophy Mouflon Ram. We have a great herd of Mouflon on the ranches with excellent genetics producing amazing trophy Mouflon Rams every year. 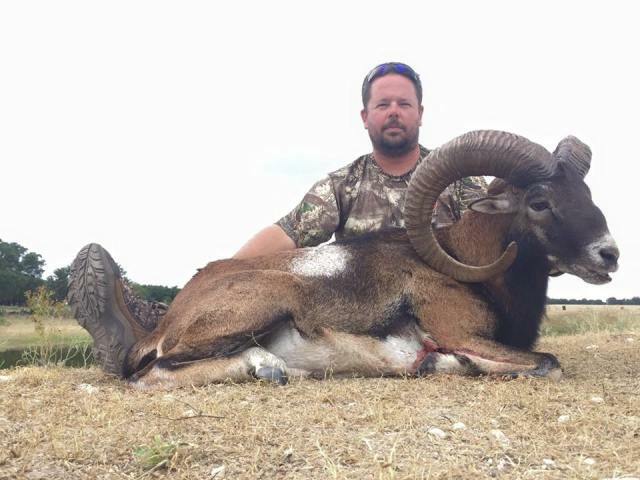 There are no seasonal restrictions on hunting Mouflon Rams in Texas, which makes it a suitable trophy to hunt year round. Forister Exotics allows hunters to choose their method of hunting trophy Mouflon Ram, and their method of take as well. We have expert hunting guides that will customize each hunters experience according to hunters experience and preference of hunting technique and weapon. Trophy Mouflon Ram Hunters can choose to Bow Hunt, Rifle Hunt, Pistol Hunt, or Black Powder Hunt. We accommodate all types of hunters and even hunters with physical disabilities. 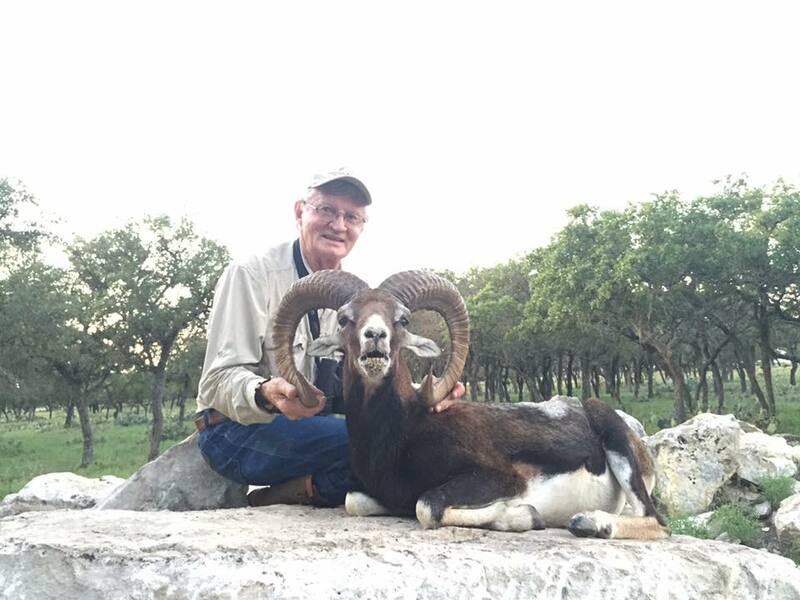 Forister exotics offers a trophy Mouflon ram hunt that will provide each Mouflon Ram Hunter with a formidable Trophy that they will be proud to hang in their Trophy Room. Forister Exotics prides itself on providing outstanding Trophy Mouflon Ram Hunts at an affordable price compared with other ranches, while giving the hunter an experience he or she will hopefully not soon forget.